I happened to go through a food article in a travel magazine which was very interesting and informative for a food lover like me. 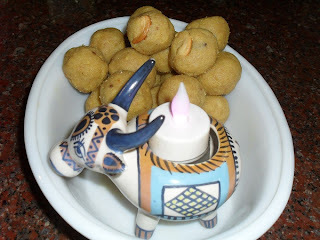 When I grazed through the ingredients required for the melt in the mouth Pandhari Laddoo mentioned in the article, it struck me that the ingredients were very much the same as the ones used for making Maavu Urundai. The secret ingredient which converts the delicious Maavu Urundai into the special Pandhari laddoo is khoya. 1. Heat two tbsps of ghee and roast the nuts , drain and keep aside. 2. In the same ghee roast the besan until it gives out a very pleasant aroma, remove into a plate and keep aside. 3. Heat two more tbsps of ghee in the same pan and roast the wheat flour till it gives out a very pleasant aroma and remove it on to a plate. 4. Heat two tbsps of ghee and add the khoya to it and fry on low flame till it turns pink in colour. 5. Add the powdered sugar and stir for a minute and then immediately add the roasted flours. 6. Blend in the remaining ghee and switch off flame. 7. Mix in the fried nuts and the cardamom or clove powder. 8. Allow it to cool down a little. 9. 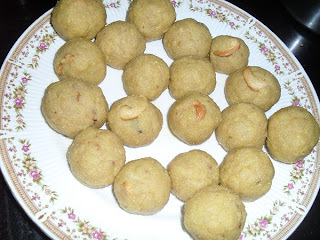 Grease your palms with ghee, scoop out a small portion of the warm laddoo mixture moist with ghee, and make lemon sized laddoos. Cool them thoroughly before storing them in a clean air tight container. A festival is not a festival without laddoos ! 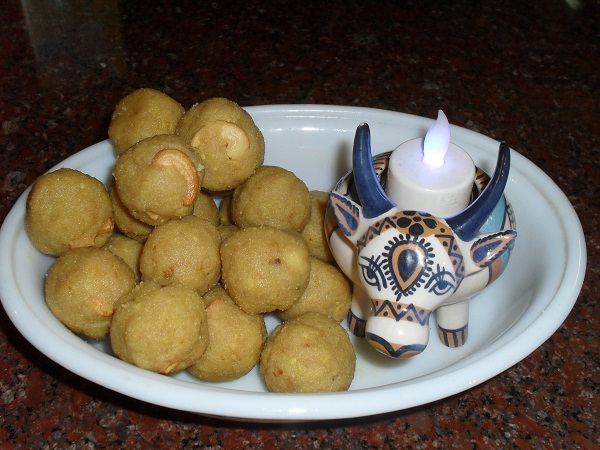 Make this Deepaavali very special with the delicious Bikaneri version of Maavu Urundai known as The Pandhari Laddoos ! 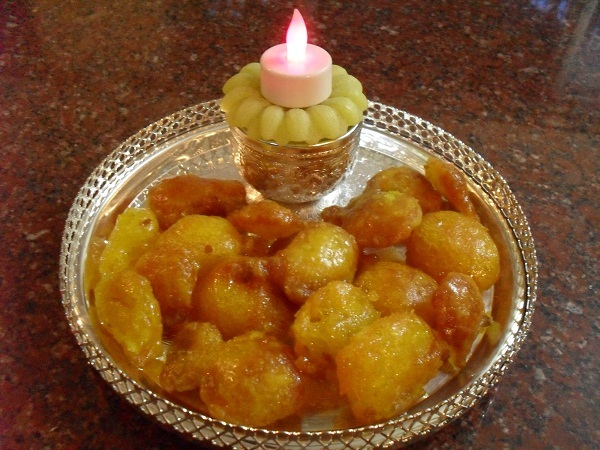 Adhirasam is one of the most delicious sweets made out of jaggery and flour. 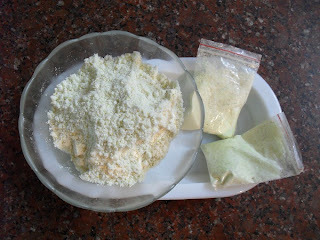 Rice flour Adhirasams are slightly tricky to prepare. Much depends on the consistency and quantity of the jaggery syrup used to make the dough while the texture of the rice flour is also very important. Here is a foolproof recipe to make delicious Adhirasams using wheat flour. 1. 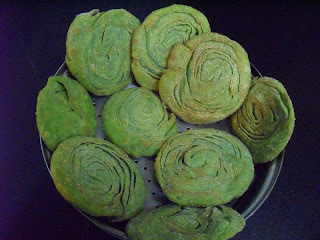 Sieve together wheat flour, rice flour and cardamom powder and keep aside. 2. 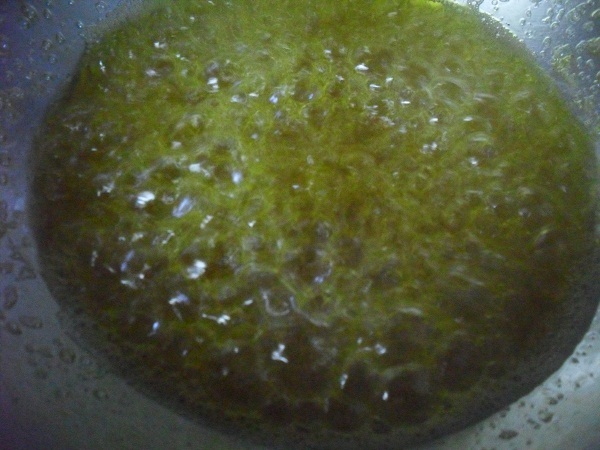 Dissolve jaggery in 1 cup of warm water and filter. 5. Add the jaggery water to the sieved ingredients and mix well using a wooden spatula. 6. 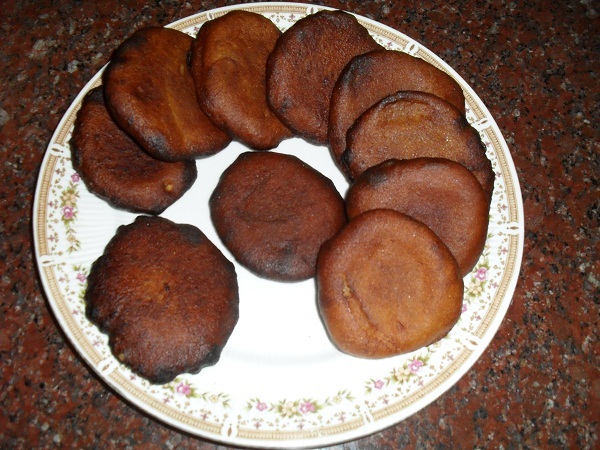 Stop adding jaggery water when the dough becomes soft enough to be patted into Adhirasams. 7. Add curds and mix the dough using your hand. 8. Cover with a lid and allow it to stand overnight. 11. Pinch a ball of dough and place it on a greased banana leaf or a butter paper. 12. Pat the ball into a 1/4 inch thick circle not forgetting to grease your fingers as well. 13. 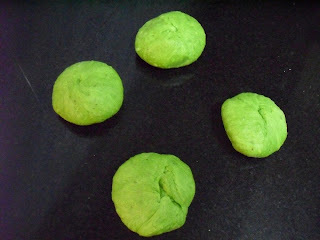 Gently slide the patted dough into hot oil . 14. 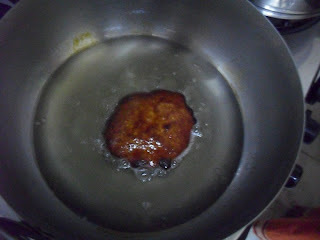 Flip the puffed up Adhirasam and cook on medium flame till it becomes deep brown in colour. 15. Press the puffed up Adhirasam to make it flat using the back side of the perforated ladle and remove from oil. 16. Press the Adhirasam on a paper towel or on a perforated plate to remove excess oil. Cool the flat Adhirasams and then store them in a container. Relish the Godumai Maavu Adhirasam while you celebrate a happy Deepaavali. This Word Square in Tamil which amazed me in my childhood , springs up in my mind whenever I see a Jilebi or even hear the word Jilebi. Now a days the traditional sweets have started to undergo a total makeover under the efficient hands of expert halwais / sweets makers. I was excited to hear about the Apple Jilebi served at a wedding party which my brother attended. 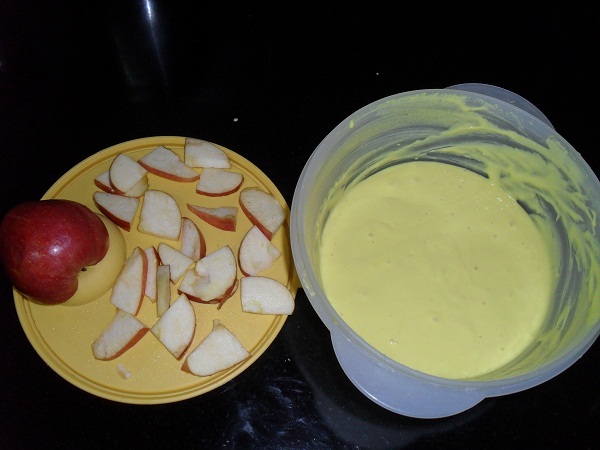 Here is my Apple Jilebi for this Deepaavali. 1. Dry grind split black gram dal into a fine powder. 2. Sieve maida, 2 tbsps of black gram flour, colour and cooking soda together. 3. 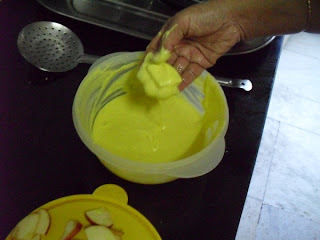 Add ghee and curds and beat it thoroughly into a smooth batter. 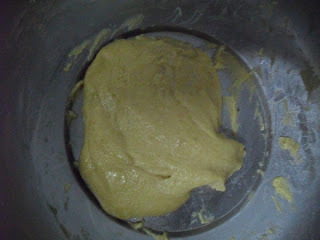 Add little water to get the consistency of a thick dosa batter. 4. Cover it with a lid and allow it to ferment overnight. 5. 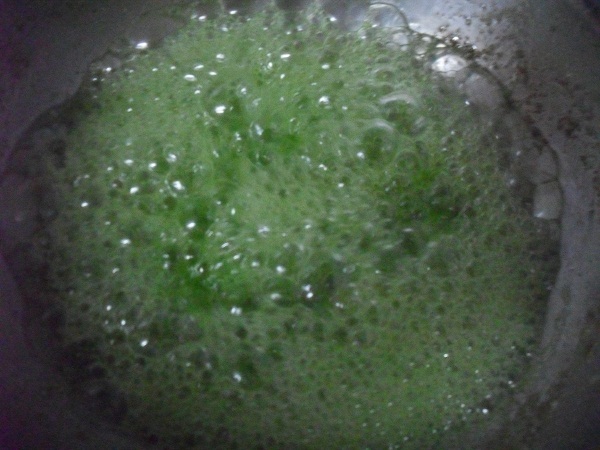 The batter will have turned sour and small bubbles may be seen on the next day. 6. Wash, wipe and slice the apple into thin pieces. 7. Add 2 cups of water and edible colour to the sugar and boil it till the syrup reaches one thread consistency. Add lime juice and essence. 8. Heat oil in a kadai. 9. When the oil is hot decrease flame to medium. 10. 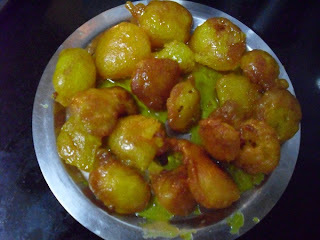 Dip the apple slices one by one in the jilebi batter and gently drop them into the oil. 11. Fry till they become golden in colour flipping them now and then, drain and then drop them in the sugar syrup. 12. When the jilebis have absorbed the syrup, after three or four minutes, remove from syrup and arrange them on a plate. Enjoy the crisp, sour and sweet Apple Jilebi as you celebrate a very happy Deepaavali. 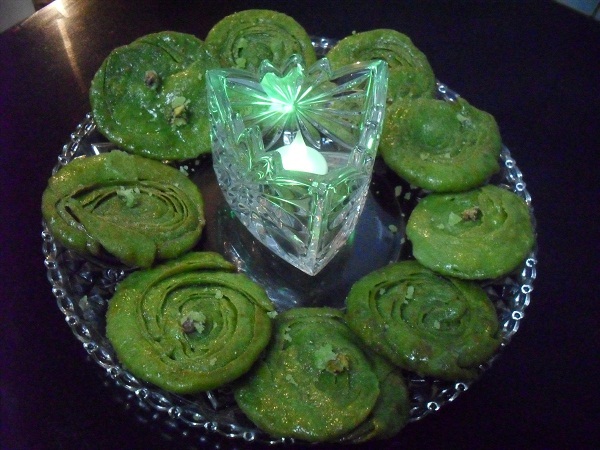 With Deepaavali just around the corner, the sweet shops are competing in showcasing their most innovative food crafts. It is amazing to watch the multitudes of edible art pieces crafted in different colours and shapes using just maida ( plain flour ), sugar and ghee as the basic ingredients. 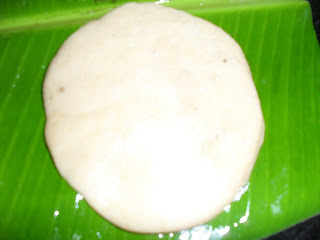 Pista Poorie is Badam Poorie's sister sweet, the basic ingredients being maida, sugar and pista. 1. 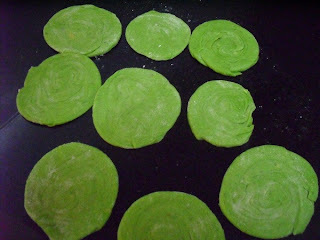 Blanch pista and grind into a smooth paste adding one pinch of edible green colour and little water. 2. 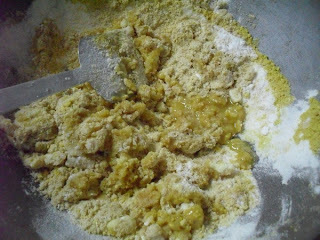 Mix cooking soda and maida and rub two tbsps of ghee into it, until the mixture resembles bread crumbs. 3. Add the ground pista paste and make a soft dough sprinkling little water if necessary. 4. 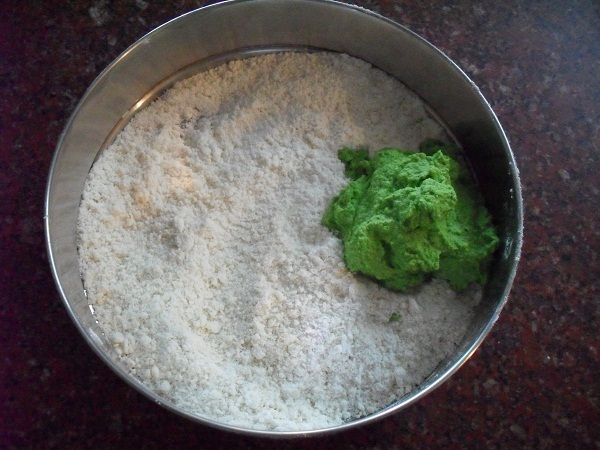 Beat the remaining three tbsps of ghee and three tbsps of rice flour into a smooth paste. This is called 'saati'. 5. Divide the pista and maida dough into four portions and knead them into balls. 6. Roll one ball into a thin chapati using a rolling pin. 7. Apply one spoon of saati all over the chapati and keep aside. 8. Roll out another chapati and place it on the previous chapati painted with saati. 9. Apply saati over the second chapati. 10. Repeat the same with two more chapaties. 11. 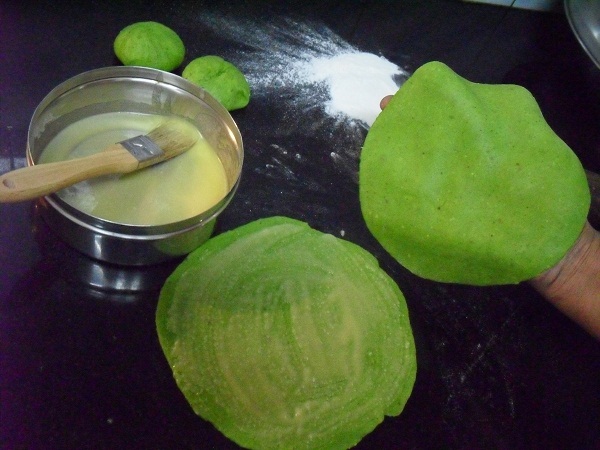 Apply saati on the fourth and last chapati and tightly roll all the chapaties together. 12. 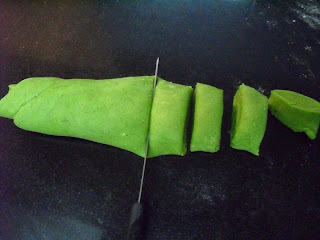 Cut the roll using a sharp knife into ten slices. 13. 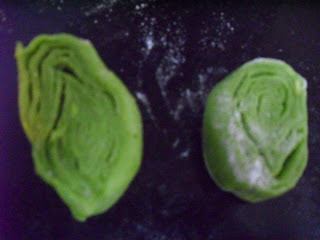 Roll out the cut pieces into 1/4 inch thick poories with the cut sides up, dusting with rice flour if necessary. 14. Heat oil in a kadai. 15. In the mean while wash the mixer used for grinding pista with little water and add it to the sugar with two more cups of water. Add a pinch of edible colour and boil the same till it reaches one thread consistency. 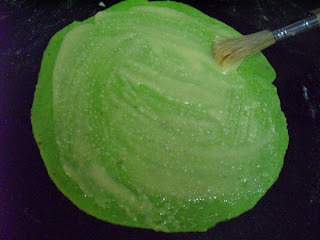 Add a few drops of lime juice to lend gloss to the finished product. 16. When the oil is hot enough turn down flame to medium and fry the pista poories till the edges start turning golden brown in colour. 17. Drain the poories and then dip them in the hot sugar syrup coating them well with the syrup. 18. 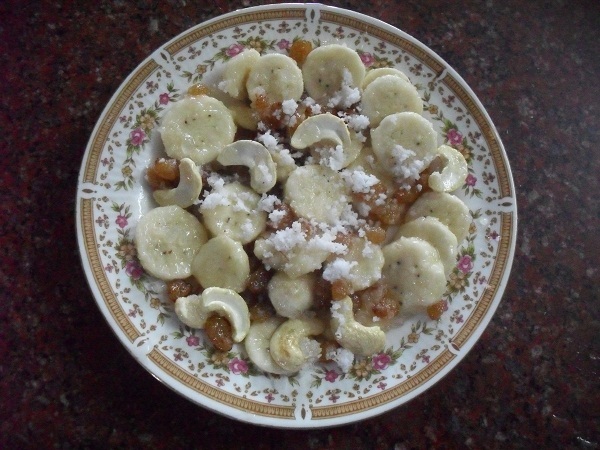 Remove poories from the syrup after three minutes and arrange them on a plate. 19. Garnish with fried pista pieces. 20.Thoroughly cool the Pista Poories before storing . Enjoy the Pista Poories with your grand Deepaavali spread. VIJAYADASHAMI - It is the day to celebrate the victory of virtue over vice, good over evil, knowledge over ignorance and light over darkness. 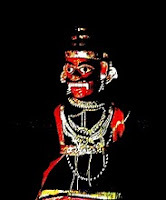 It is the day when Goddess Chaamundeswari annihilated the buffalo headed demon Mahishaasura - the dark lord who symbolized evil might and ignorance. 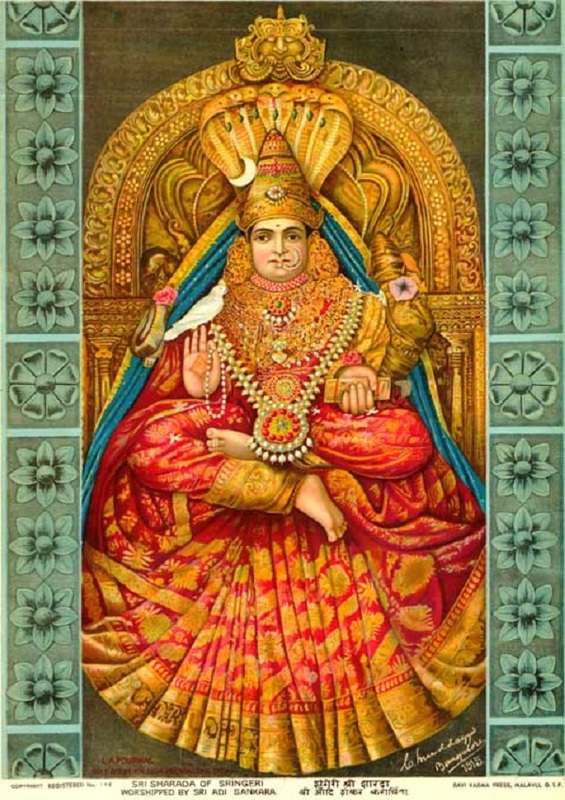 By slaying him after waging a war against him for nine days Mother Goddess Chamundeswri restored peace and happiness among the terrorised mortals. Vijayadashami - the victorious tenth day of Navaraatri / Dasara is an auspicious day to begin new endeavours and to start Vidyaabhyaasam ( initiation ceremony for learning ) for children. Though sweet shops are abuzz with roaring business on this day, preparing a special sweet at home as an offering to the Goddess is a most fulfilling experience. 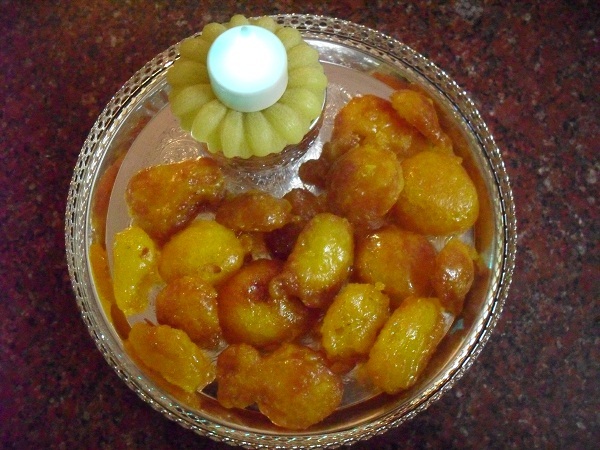 Kesari baath is a traditional sweet dish of Karnataka which is very quick and easy to make. 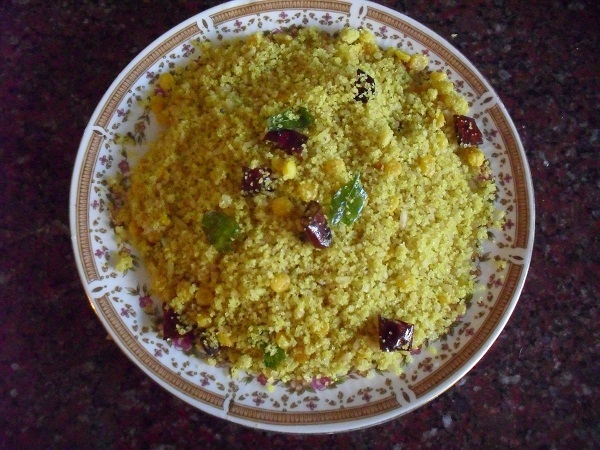 It is served with the morning breakfast or with the evening tea and snack. As far as the children are concerned it is an all time sweet. 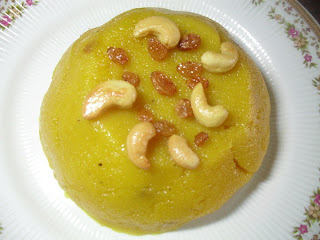 Kesari baath the all time favourite is an appropriate prasaadam for Vijayadashami as well. OTHER THAN CLAY, DASARA GOMBES ( DOLLS ) ARE MADE OUT OF VARIOUS OTHER MATERIALS LIKE METAL,WOOD, PLASTER OF PARIS, PORCELAIN AND PAPIER MACHE. THE DOLLS ABOVE ARE MADE OF PAPIER MACHE. 1.Soak saffron strands in little warm water and keep aside. 2. Heat two tbsps of ghee and fry the cashew nuts and raisins and remove with a slotted spoon and keep aside. 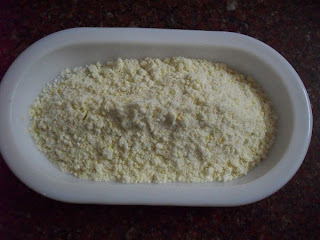 3.Decrease flame and fry the semolina in the same ghee till it emanates a pleasant aroma. 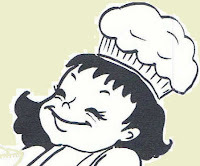 4.At the same time boil three cups of water in a saucepan on the second burner of the stove. 5. Dissolve the saffron colour in the boiling water and pour it gently into the semolina. 6. Stir well until the semolina is cooked well on low flame. 7. Add sugar, blend well and keep cooking till the kesari baath thickens. 8. Add the soaked saffron strands and the remaining 4 tbsps of ghee and cook till the sweet comes together and leaves the sides of the pan. Adding more ghee gives it a great texture. 9. 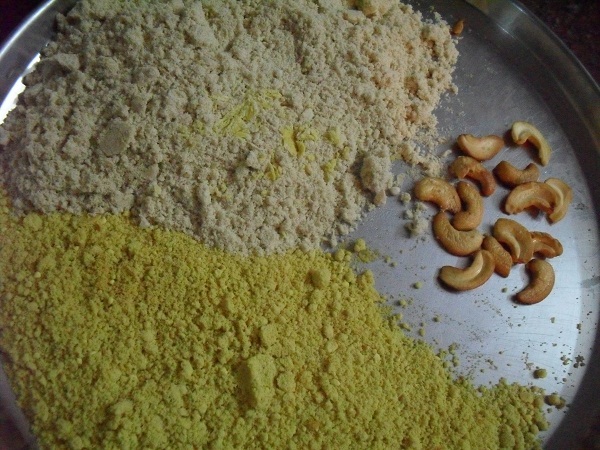 Mix in the cardamom powder and garnish with the fried raisins and cashew nuts. Offer the flavoursome Kesari Baath to Mother Goddess to celebrate Her victory, and share it with the near and dear ones. WISH YOU ALL SUCCESS ON THE HAPPY VIJAYADASHAMI DAY. Aval Pittu does not involve steaming like other pittus and it can be prepared very easily.This is one of the delicious giveaway prasaadams which can be effortlessly prepared for Navaraatri. PANRUTI IN TAMIL NAADU IS VERY FAMOUS FOR THE BRIGHT AND COLOURFUL CLAY DOLLS DISPLAYED IN KOLUS. 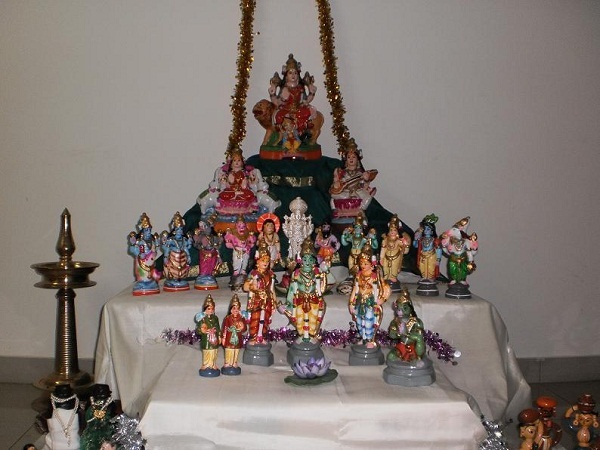 IDOLS OF DEITIES AND DOLL SETS LIKE KALYAANA ( MARRIAGE ) SET, SETS DEPICTING TEMPLE CAR FESTIVALS, SETS WITH KRISHNA AND THE DANCING GOPIKAAS WHICH ARE INTRICATELY MADE REFLECTS THE ARTISAN'S IMAGINATION AND CREATIVITY. 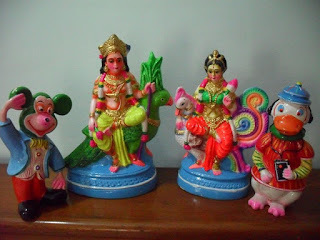 MIXING AND MATCHING THE DOLL SETS ADDS FUN AND A UNIQUE TOUCH TO THE KOLU. 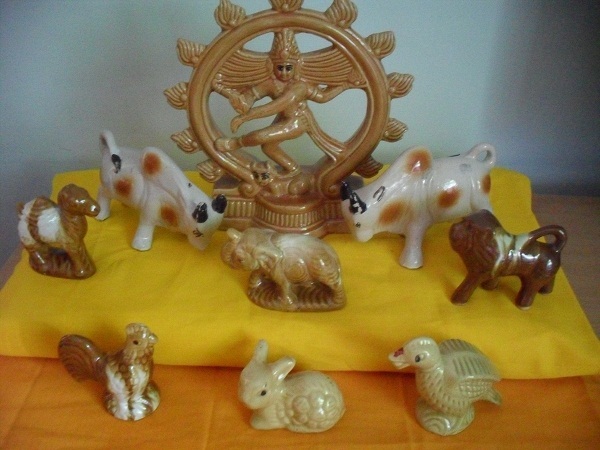 THESE ARE PORCELAIN DASARA DOLLS PICKED UP IN A REMOTE VILLAGE OF TAMIL NAADU.THE PROPORTIONS OF THE ANIMALS AND THAT OF THE BIRDS ARE IRRELEVANT TO THE TOY MAKER AS WELL AS THE HOME MAKER WHO DISPLAYS THEM IN HER KOLU. 1. Dry roast beaten rice till it becomes reddish brown in colour. 2. Grind the roasted beaten rice till it looks like sand and empty it on a deep plate. 3. Add a pinch of salt and turmeric powder to 1/2 a cup of boiling water . 4. Add this water little by little and moisten the roasted and ground beaten rice using your palm. 5. 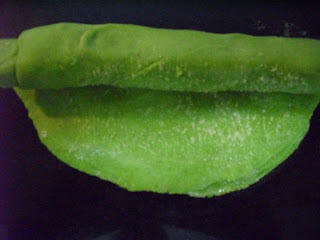 Cover it with a lid and allow it to soften for half an hour. 6. Mix the remaining turmeric powder and salt into the lime juice and keep it aside. 8. When the mustard seeds splutter add the broken red chillies, asafoetida and curry leaves. 9. Drain and add the presoaked bengal gram dal and saute till dry. 10. 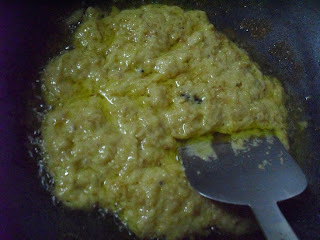 Add ghee, decrease flame and then pour the lime juice, salt and turmeric mixture into the seasoning. 11. Switch off flame and pour the whole seasoning on to the soaked beaten rice. 12. Blend everything together crumbling lumps if any. Offer the delicious Aval Pittu to Mother Goddess and give away the prasaadam in leaf or paper cups to all the visitors. Avare kaalu ( field beans ) has already started flooding the market, while the season is still far away. The kaalu lovers of Karnataka are having a field day, and are already relishing a great variety of kaalu dishes. Avare kaalu usli / Pachai mochai sundal is the highlight of Navaraatri prasaadams this year. THIS IS A GANESHA DOLL FROM KERALA. IT IS CARVED OUT OF A WHOLE COCONUT. 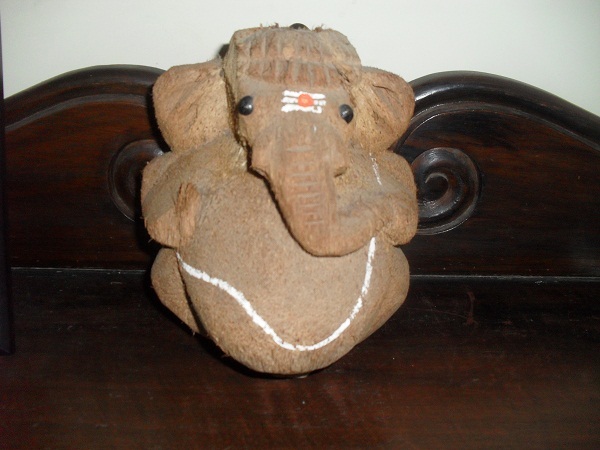 THE DRY COCONUT RATTLES INSIDE THE STOMACH OF GANESHA. THIS WOODEN BOAT IS ALSO FROM KERALA. 1. Wash and cook kaalu ( field beans ) adding enough water so that the beans become soft but not mushy. 2. When the beans are soft add salt and cook for a few more minutes. Drain excess water if any. 3. Heat oil in a pan and add mustard seeds. 4. When the mustard splutters add black gram dal and bengal gram dal and fry until they become golden in colour. 5. Add the broken red chillies and decrease flame. 6. Stir in asafoetida, turmeric powder and then the curry leaves. 7. 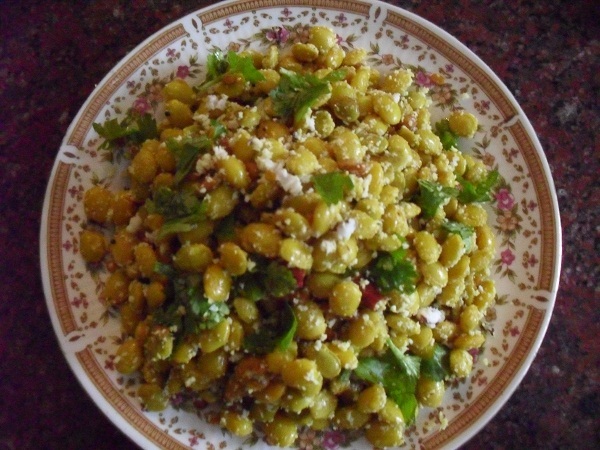 Add the cooked kaalu/beans, mix well with the seasoning and cook till dry. 8. Add the lime juice and switch off flame. 9. Mix well and garnish with fresh coconut gratings and the fresh coriander leaves. Offer the delicious Avare Kaalu Usli bursting with its distinct flavour to Mother Goddess and give away the prasaadam in banana leaf cups to the happy visitors. 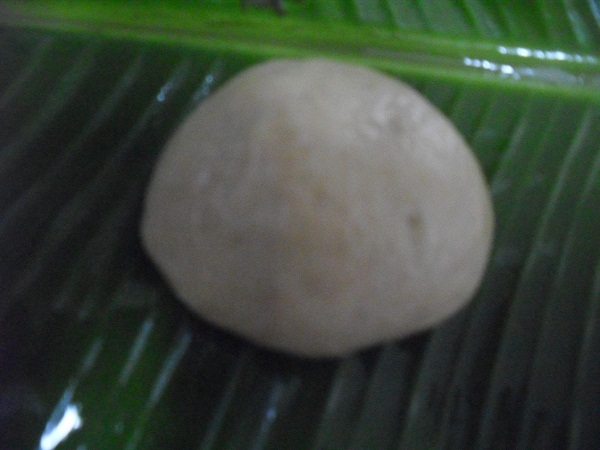 The banana leaf cups will enhance the flavour of the kaalu usli. 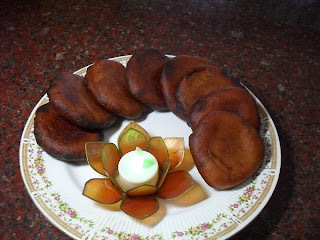 Kobbri Sakkre is the most commonly prepared giveaway prasaadam in the Mysore region. Kobbri sakkre packed in butter paper covers are given to the visitors as a token of sharing joy,be it a naamakarana(naming ceremony) of a baby or just an auspicious Friday. 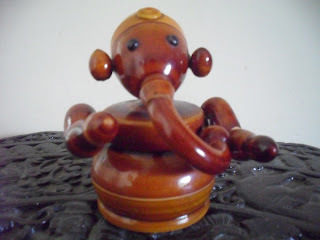 THIS IS A KONDAPALLI TOY GANESHA. KONDAPALLI TOYS ARE MADE IN ANDHRA AND THEY HAVE A PROMINENT PLACE IN DASARA KOLUS.THE VILLAGE TOY SET IS VERY POPULAR AND IS USED IN CREATING MODEL VILLAGES IN THE KOLU. 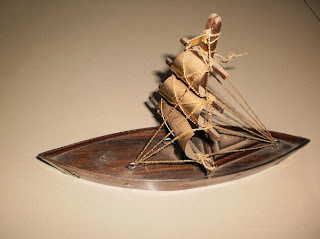 LIGHT SOFT WOOD, GLUE, SAW DUST AND THE PASTE OF TAMARIND SEEDS ARE USED TO MAKE THESE TOYS. THE WAY IN WHICH THE DETAILS ARE CARVED IN THE DELICATE AND FRAGILE DOLLS IS AMAZING. 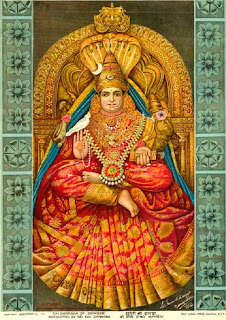 Navaraatri is a very busy festive season. Visitors pour in to each others houses to behold the kolus , to accept taamboolam and to invite each other to their respective kolus.Since they need to accommodate a number of kolu engagements on a given day,they tend to drop in at all odd hours of the day. THIS MINIATURE GANESHA IS A KONDAPALLI BOMMALU (DOLL ) . 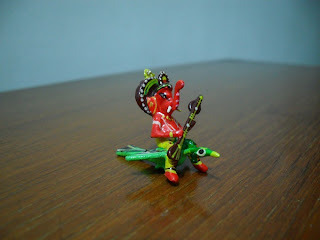 HE IS HODING A VEENA AND RIDING A PEACOCK.THE BRIGHTLY PAINTED DOLL IS ONLY ONE INCH IN HEIGHT. PHOTOGRAPHING THIS TINY GANESHA WAS A DIFFICULT TASK .THANK YOU AKKI FOR THE LOVELY CLICK. Kobbri Sakkre can be prepared with one swish of the mixer when you are caught unawares by the surprise visitors during the festival season. 1. Grind sugar and cardamom powder smoothly. 2. Add roasted gram and run the mixer for half a minute. 3. Add grated copra and again grind for half a minute. 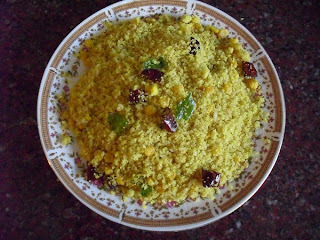 Remove the kobbri sakkre in a bowl and blend the now slightly coarse mixture well. Offer this to Mother Goddess in the evening. 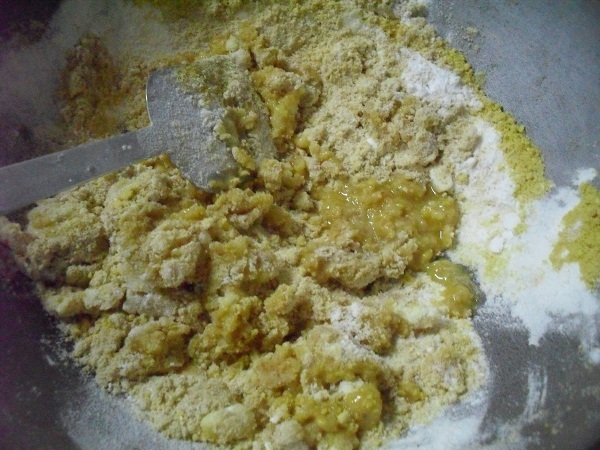 Remove the kobbri sakkre in a bowl and blend the now slightly coarse mixture well. Offer this to Mother Goddess. The word Panchaamrutam means five nectars. 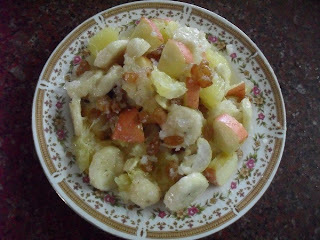 Panchaamrutam or Rasaayana is basically a mixture of banana slices, fresh coconut gratings, honey, powdered jaggery and ghee. 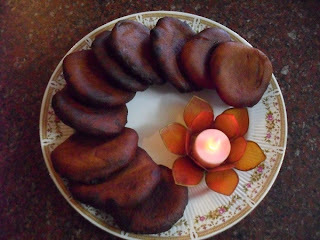 It is an essential item in all traditional poojaas. 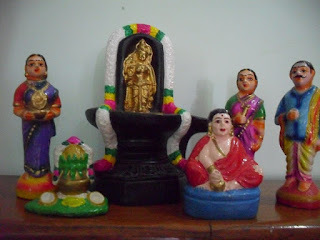 Panchaamruta snaanam ( bath ) is one of the various snaanams offered to a diety. It is then given to the devotees as prasaadam.The ancient idols of dieties in ancient temples, were usually made of medicinal substances. When the panchaamrutam is poured over the diety during abhishekam ( holy bath ), it acquires some of the idol's medicinal properties. Savouring this prasaadam and the intense positive thoughts of the faithful devotee helps in curing his illnesses. Panchaamrutam / Rasaayana is a traditional dish given as prasaadam in many temples.It is also prepared along with other sweets and savouries during festivals. HIS HEAD AT THE SLIGHTEST TOUCH. 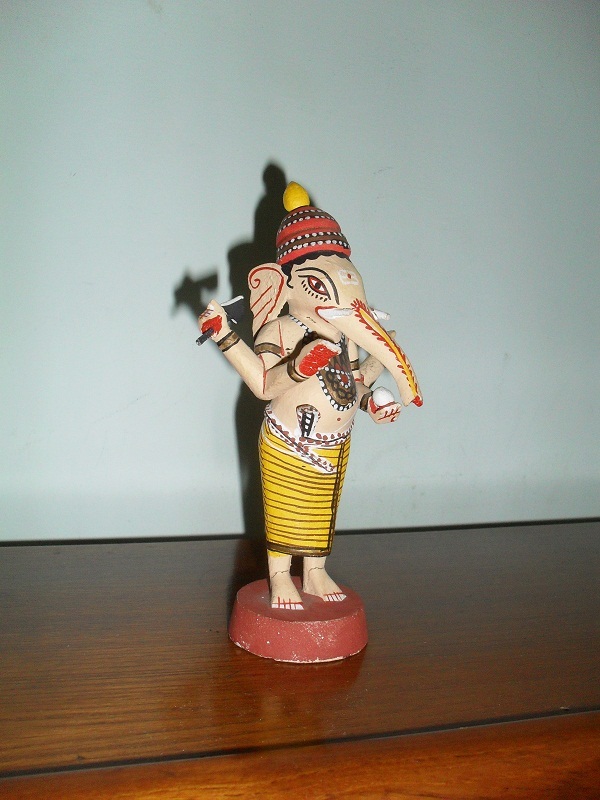 THIS IS A TOY GANESHA FROM CHANNAPATNA , THE TOY TOWN OF KARNATAKA.THE TRADITION OF TOY MAKING IN CHANNAPATNA DATES BACK TO THE TIME OF TIPU SULTAN. THE ARTISANS WERE BROUGHT DOWN FROM PERSIA TO TRAIN THE LOCAL CRAFTSMEN IN TOY MAKING.THEY USED THE LOCAL WOOD AND HERBAL DYES TO MAKE THE FAMOUS CHANNAPATNA TOYS. 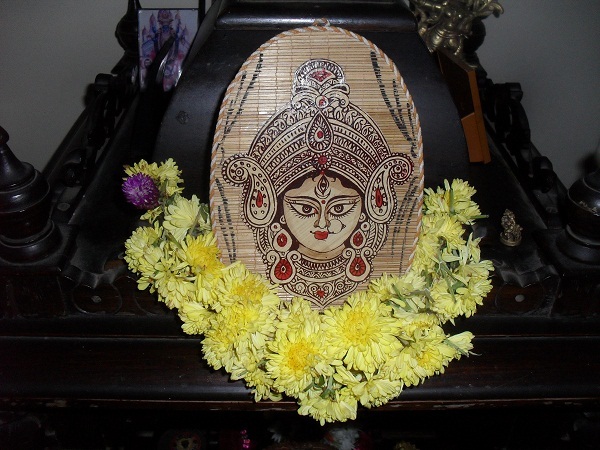 Panchaamrutam /Rasaayana is a healthy and easy to prepare giveaway prasaadam for Navaraatri. 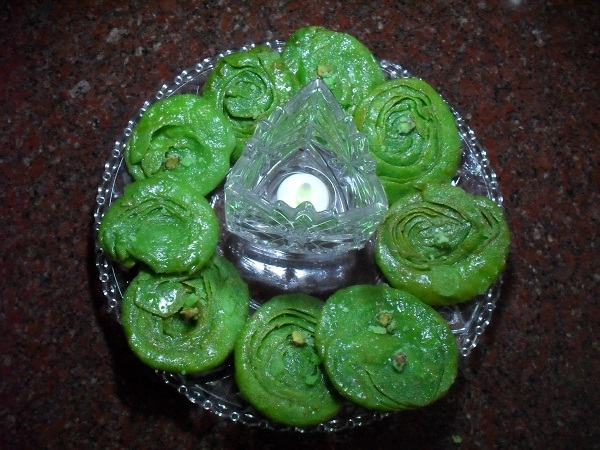 With the mentioned basic ingredients other fruits like apples, oranges, raisins, cashew nuts and various other ingredients can also be added to lend colour and a festive look to the Panchaamrutam / Rasaayana. 1. Mix all the ingredients together except the banana. 2. Slice and mix in the banana to the above mixture. 4.If you want to add apple pieces, add a few drops of lime juice to the cut apple pieces and shake them well in a closed container before adding to the Panchaamrutam / Rasaayana. Offer the Fruit and nut nectar to Mother Goddess and give away the Panchaamruta prasaadam in leaf cups to your guests on a happy Navaraatri evening.